The Clinical or Radiographic Diagnosis of Gastroptosis: Still Relevant? A Multicenter UK Study on Trainee Involvement in Clinical Audit: Is it an Effective Contribution to Service Quality Improvement or a Portfolio Generating Activity? Coalescent Cyclical Vomiting: A Manifestation of Narcotic Bowel Syndrome? The Histamine H4 Receptor: A Novel Target for Safe Anti-inflammatory Drugs? The word ‘Gastro’ is used in conjunction with many words like, Gastrology, Gastroenteritis, Gastrocaine, Gastrointestinal system, etc. 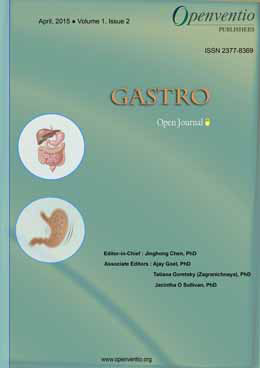 Gastro – Open Journal (GOJ) aims to publish the current breakthroughs of digestive system and its related diseases. 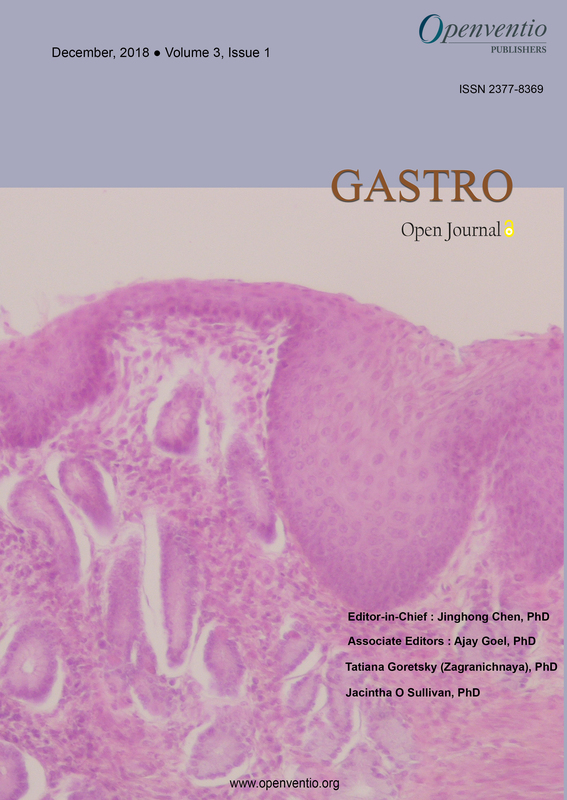 However, Openventio aims to widespread all the detailed matters related to the gastro research through its Open Journal to all the scientific community for the welfare of the patients. 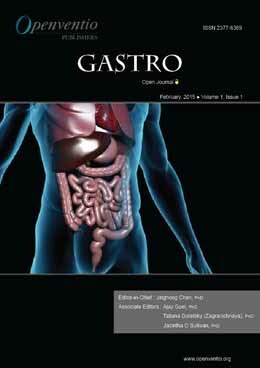 Gastro – Open Journal (GOJ) is dedicated to the open dissemination and robust discussion in the area of gastroenterology and its related fields. 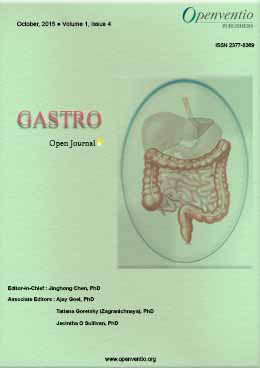 Submissions for this Journal are accepted from the very basic gastroenterology to the recent advancements of treatment. 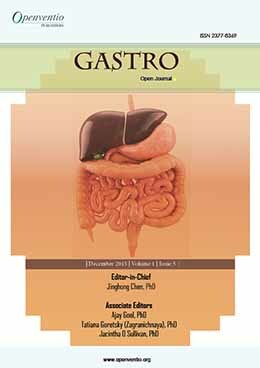 This journal encourage submissions from the field of basic Gastroentology to advanced Gastroentology. The audience of GOJ includes gastroenterologists, pediatrician, surgeons, physicians, veterinarians, hepatologists, clinicians, surgical investigators, practitioners, educators, surgical nurse and students. The journal accepts all types of articles such as original research, review, case-report, mini-review, editorial, short-communication, book-review, opinion, commentary, letter to the Editor, conference proceedings, technical report, errata, illustrations, etc. 1. Ventham NT, Kennedy NA, Nimmo ER, Satsangi J. Beyond gene discovery in inflammatory bowel disease: the emerging role of epigenetics. Gastroenterology. 2013; 145: 293-308. 2. Jinghong Chen, John H Winston, Yu Fu, et al. 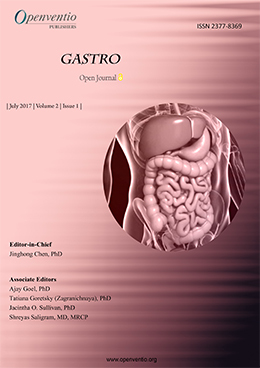 Genesis of anxiety, depression, and ongoing abdominal discomfort in ulcerative colitis-like colon inflammation. Am J Physiol Regul Integr Comp Physiol. 2015; 308: R18-R27.